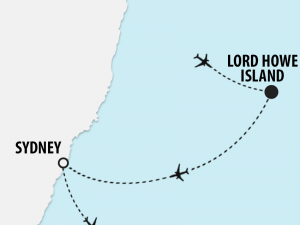 Your journey begins with a flight to Lord Howe Island. On arrival, you will be transferred to your hotel. This evening, enjoy an entertaining talk by author & local identity, Ian Hutton before enjoying dinner at the popular Coral Cafe. 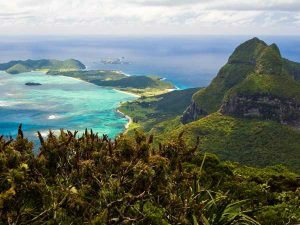 After breakfast, enjoy a refreshing introduction on what to do on beautiful Lord Howe Island, where to go & how to get around. Learn everything that there is to know about the island. Later, relax onboard a 2 hour cruise and enjoy the breathtaking views all around Lord Howe Island, including the spectacular image of Balls Pyramid creeping up in the distance & sheer mountain cliffs. During your cruise, you will approach the Admiralty Islands, which are home to a large percentage of the island’s bird population. Tonight, enjoy a 2 course dinner at the Anchorage Restaurant. View the large variety of fish, turtles, stingrays & amazing corals of the world’s southernmost barrier reef on the Adventure One glass bottom boat. While exploring North Bay, you may wish to climb up Mt Eliza, walk to the Old Gulch or Herring Pools, view the sea bird rookery or enjoy a swim. An amazing snorkelling opportunity is provided today, with the option to snorkel the wreck of the Favourite which ran aground here in 1965. Later, enjoy a delicious fish fry dinner at the Beachcomber Restaurant. Enjoy a 2 hour tour which focuses on exploring the profuse coral seascape and introduces visitors to some of the more unusual lagoon inhabitants such as the endemic double-header wrasse, stingrays & turtles. This tour provides an optional snorkelling experience at Erscott’s Hole. Alternatively, you can simply relax on the boat and view the stunning diversity of this exotic marine location. Enjoy some time at leisure before dinner at the Milky Way Restaurant tonight. After breakfast, join Ron on an easy 3 hour, 3km ramble. Enjoy the great scenery as Ron provides you with information about this fascinating island. Learn about the birds, flora, fossils, palm & tourist industry, bush tucker & medicine, plus snippets of the island’s volcanic & colourful local history. This evening, indulge in a dinner at the Lord Howe Island Bowling Club. A full day at leisure is included for you today, giving you time to explore more of the island or relax in your apartment. This evening, visit the local Community Hall and enjoy 3 short historical movies from Lord Howe Island’s flying boat days before enjoying dinner at the Anchorage Restaurant. Walk the Little Island Track to view the spectacular aerial courtship displays by the winter breeding providence petrel. One of the world’s rarest birds, the providence petrel returns to the island to nest and can be ‘called’ out of the air, landing at your feet and even climbing into your lap! Return to the Anchorage Restaurant for lunch before enjoying an afternoon at leisure. We recommend spending some time down at Ned’s Beach with time for snorkelling or feeding fish which are right around your ankles! A small amount of fish food will be supplied, with additional fish food available for purchase. 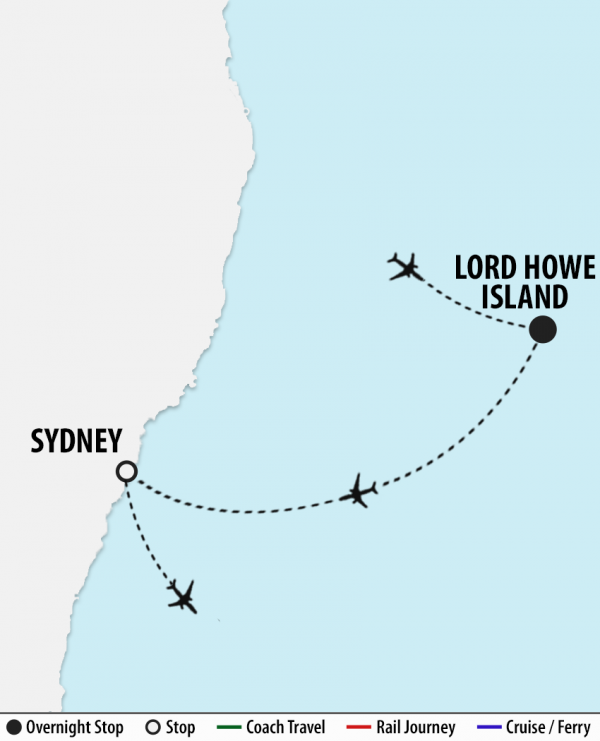 Tonight, enjoy a farewell dinner at the Lord Howe Island Golf Club. Say farewell to your fellow travellers when your holiday comes to an end this morning after breakfast. You will be transferred to Lord Howe Airport in time for your flight home.